UPDATE: Chrome has been released. Earlier this year, we announced that work had begun on Rise Player support for Chrome OS. As an update to this announcement, we can now say that Chrome OS support will be complete in Summer 2018. Download the free Rise Player onto your Media Player. 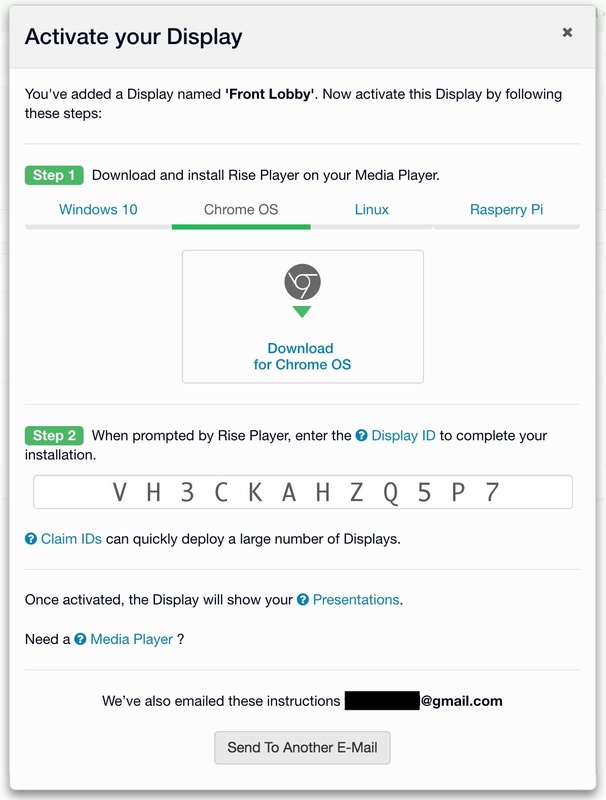 When prompted by Rise Player, enter the Display ID. Hundreds of users have already asked to be notified as soon as it’s released, so they can be the first to try it out. We’ll have additional news to share as we get closer to the release date. We have lots in store this summer in addition to Chrome OS. Our Creative Team is busy adding widgets to make your presentations even more dynamic; earlier this year, they created a widget for Twitter; next up is a widget for Google Slides. In addition to these widgets, every month the Creative Team releases several professional templates that help users create engaging digital signage in less than five minutes. If you have ideas for templates, you can submit your ideas here.